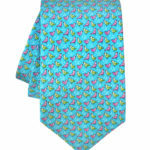 Printed silk twill tie with unique color combination. 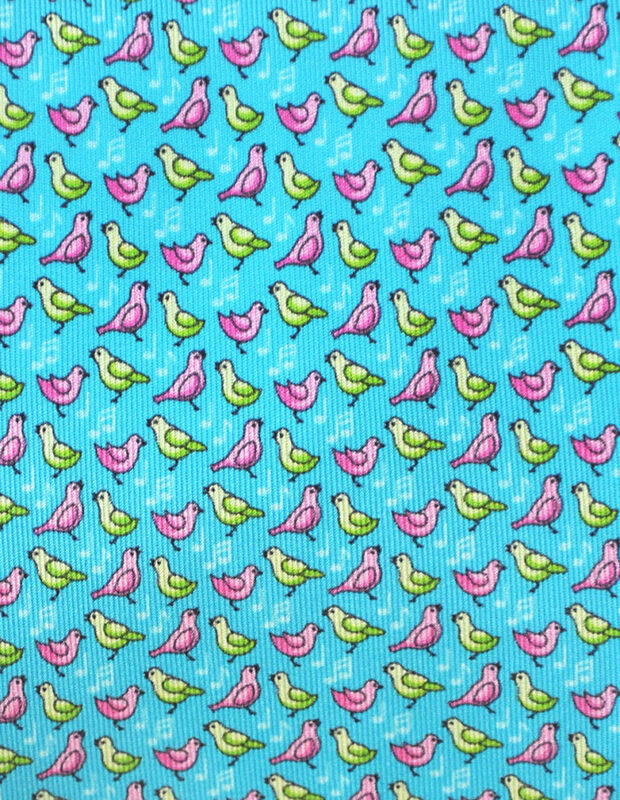 Green and pink birds release white musical notes, on a turquoise blue background. 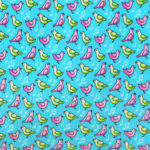 Items constructed using traditional artisanal methods are considered the new luxury. 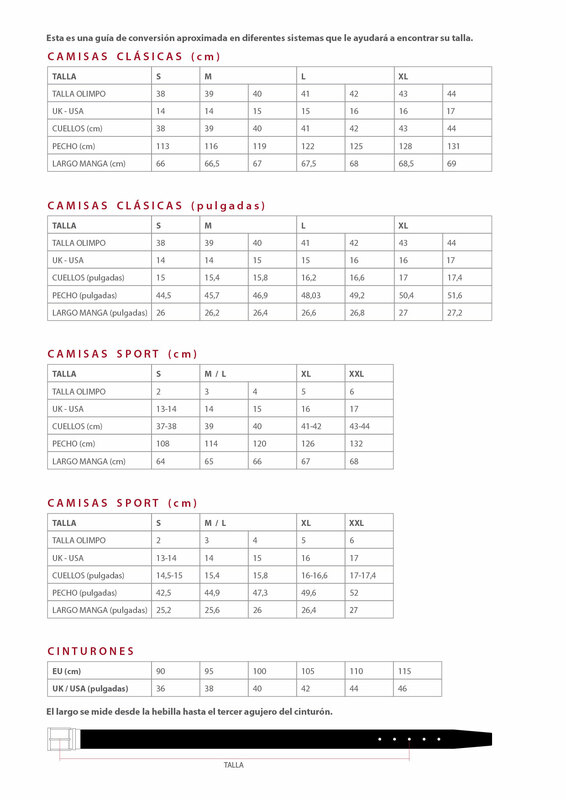 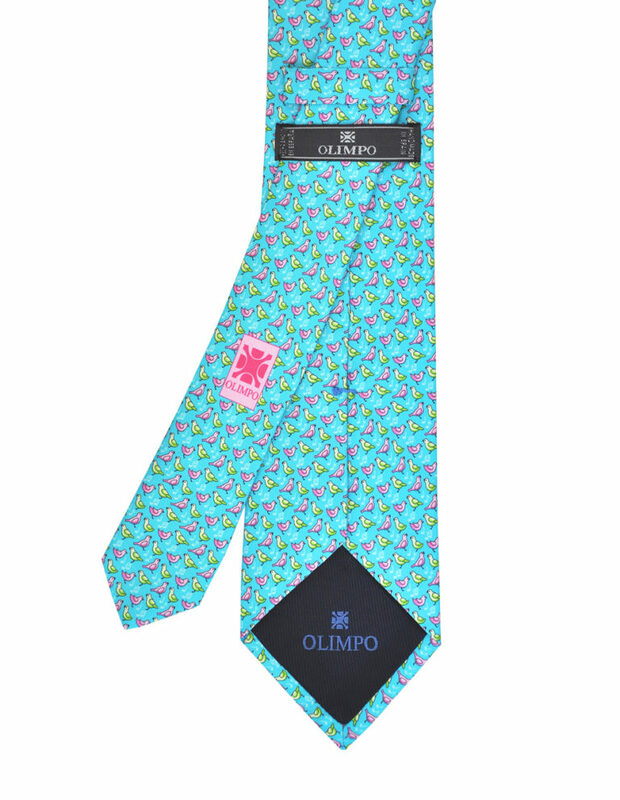 OLIMPO neckties, handmade in Spain of the finest silk, fit the bill. 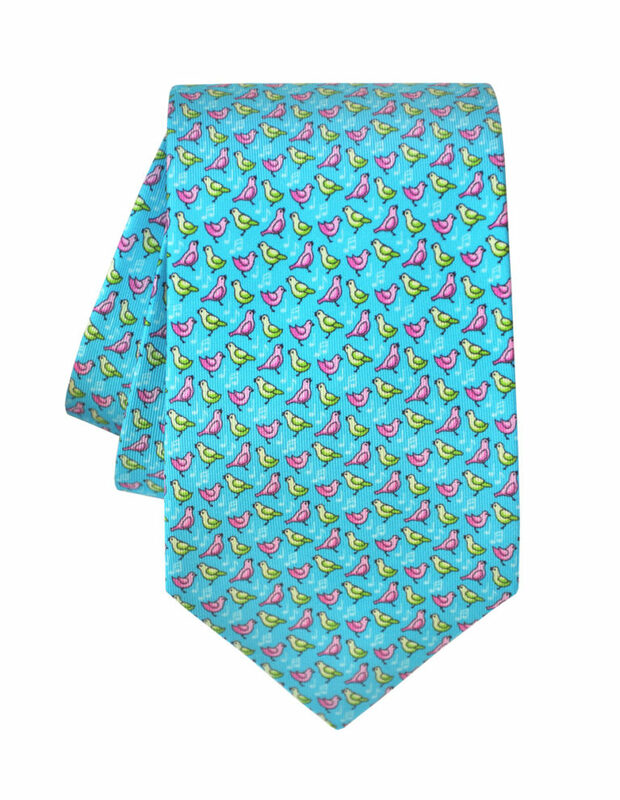 Thanks to the dedication that our artisans bring to the production process, as well as to the design department’s creativity, each tie possesses its own unique characteristics. 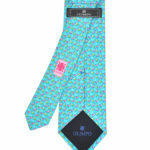 The top-of-the-line silk promises rich, true colors, a hallmark of OLIMPO ties. 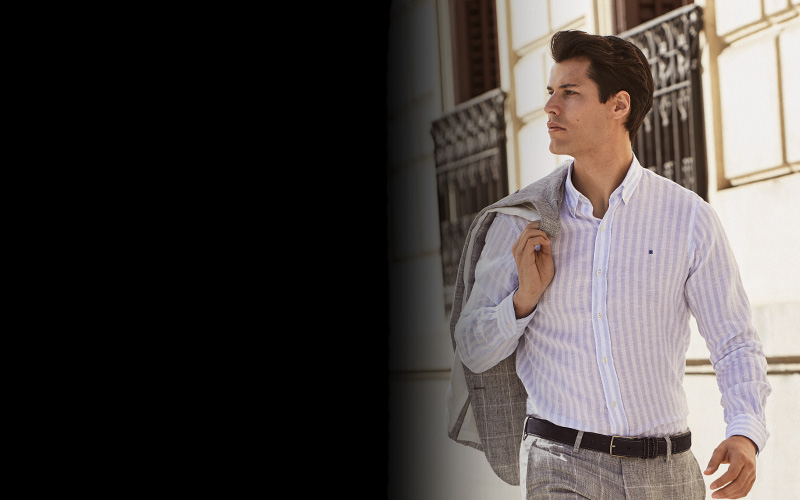 All the “keeper loops” are made of silk and marked with OLIMPO, a sign of authenticity.